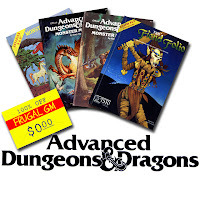 This week's Free GM Resource is a rather extensive collection of Advanced Dungeons & Dragons monsters hosted on this German website. 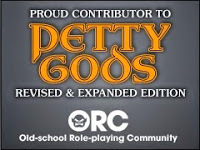 With so many folks playing AD&D, HackMaster 4th Edition, or the various Old School Rules (OSR) games, being able to drag out a few new monsters that are already statted (or require little work to convert) is a huge boon. If you don't play one of these compatible games you might be lucky to find an easy conversion from the 2nd Edition AD&D ruleset. Even if you have to do a lot of conversion work simply having a large store of monsters to start with might prove useful. The websites' page on monster stats might prove quite useful in making conversions.